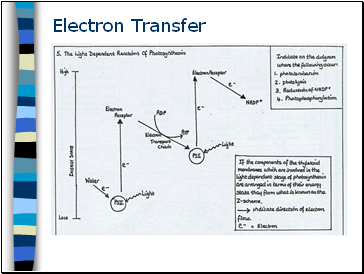 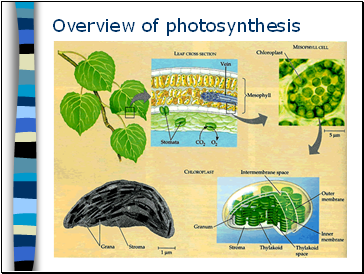 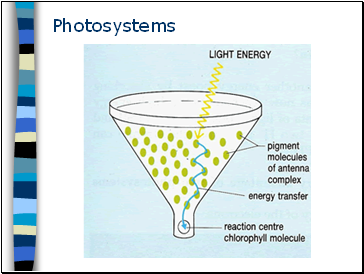 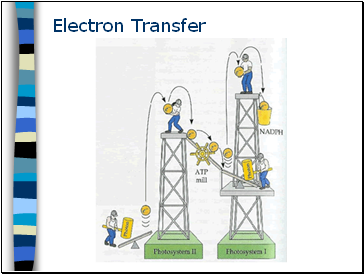 Understanding the processes of photoionisation, photophosphorylation & photolysis. 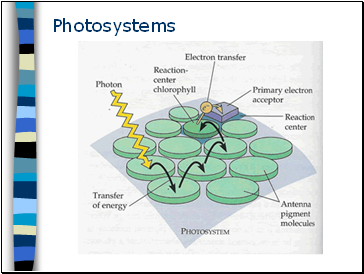 Knowledge of where these processes take place. 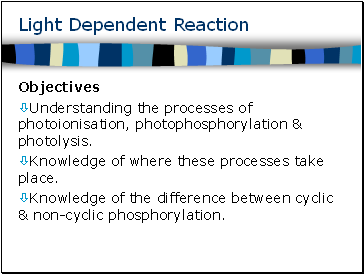 Knowledge of the difference between cyclic & non-cyclic phosphorylation. 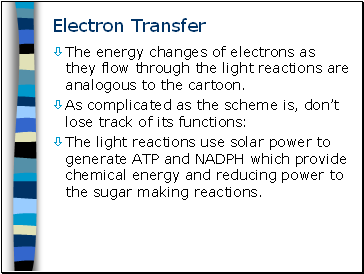 The energy changes of electrons as they flow through the light reactions are analogous to the cartoon. 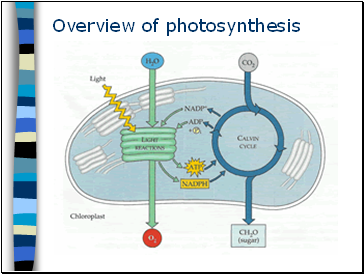 The light reactions use solar power to generate ATP and NADPH which provide chemical energy and reducing power to the sugar making reactions.